If you've read any of my recent mascara reviews, you'll know I was less than impressed with Benefit's They're Real! mascara. I got it as a freebie in Elle in the Summer and I was really excited to try it after hearing all the rave reviews. However, I was left disappointed as I found it super clumpy and found that it didn't hold a curl so I tossed it to back of my drawer in a huff and that was that. For some reason, last week I was rooting around in my drawers and it came surfacing to the top, I thought I might as well give it another try out of curiosity and was left feeling surprised when I actually quite liked it. 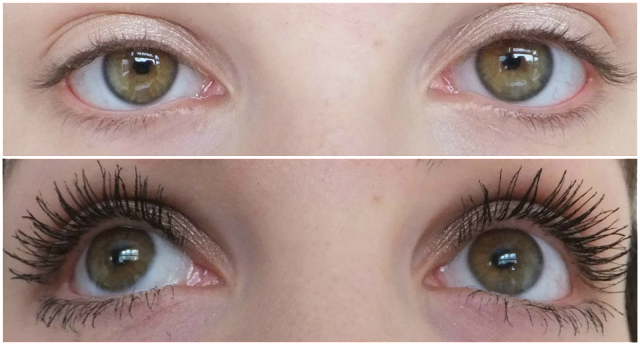 It's made my lashes dark and thickened them like I've never before seen. So, what's changed? To be honest, I'm not entirely sure. It's possible that the formula has gone a little drier since I got it making it easier to work with or maybe my mascara preferences have changed, but whatever it is, I've been reaching for it most days this week. By no means would I describe it as perfect, I still find the formula quite difficult to work with as it seems so thick. The brush is a plastic bristle type and this is usually my favourite sort; I've found that the little spiked ball at the end of the wand is brilliant for coating those hard to reach lashes and then using the regular part to comb it all back through leaving me with no clumps. It does dry fairly quickly and I find I do have to work fast with it to come out how I want it to. It now seems to be keeping the curl in my lashes really well, I did get a new curler though so perhaps it wasn't the mascara that was letting me down but my curler. Although I find it extremely long lasting, it doesn't flake on me but it has been leaving me with little smudge marks underneath my eyes after a few hours wear which I haven't had with many of my other mascaras. This is a bit disappointing as you obviously don't want to be worrying that you've got smudge marks on your face when you've gone out or when you're at work. As for removal, it is a pain to remove at night unless you have an oil based make up remover, then it's not too difficult. 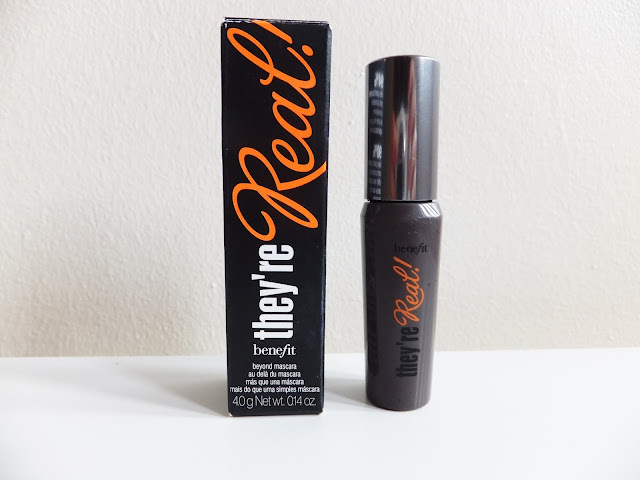 Overall, I've definitely been impressed with the results that I get from They're Real! It's given me the thickest lashes I've ever had but it's not without its faults. I really love the design of the brush and whilst it does give good volume and hold a curl it also smudges and isn't the best to take off in the evening. I have the smaller version which retails for £9.50 and the full size retails for £19.50. I don't think I could buy the full size version as £19.50 for a mascara is extremely expensive and I'd probably want to try other mascaras at a similar price to see how they compare if I was willing to splash the cash. Have you tried They're Real!? What are your thoughts? Have been wanting to try this! Can't believe I missed the freebie! I know, it's a tricky one! I like it in some ways and in other ways it's still disappointing. Trying to see if the good outweighs the bad! It's great to see a review that's not hyping it up so much and I have to agree with you on this one. I do love this mascara, but as I've naturally got really long lashes I have to be careful with how much I apply because I find that a little goes a long way!